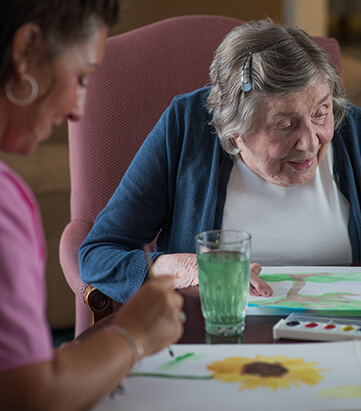 We believe every resident is a unique person, has a story to tell, and should be encouraged to participate in guiding their own care. 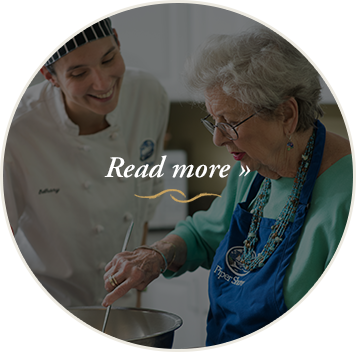 Our PersonFirst® approach to assisted living and memory care begins with a story. Yours. Aging is a process we all go through. It begins with birth and seems to accelerate the older we get. Watching our parents as they age can be difficult. Wanting them to be safe yet autonomous, cared for yet dignified, can seem like a balancing act. We understand. 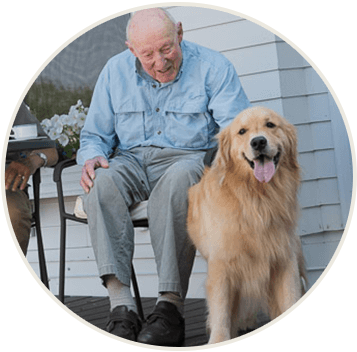 At Holbrook Assisted Living, Memory Care, and Health Center, you’ll find a compassionate approach to care that is founded on the principle that every resident is a unique person, has a story to tell, and should be encouraged to participate in guiding their own care. We call this approach PersonFirst®. 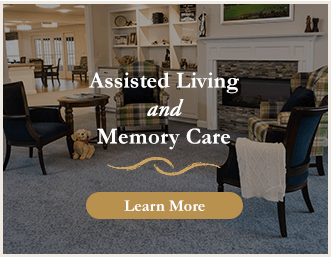 With our new assisted living and memory care expansion, Holbrook living is now available to lifecare residents as well as to residents outside Piper Shore’s lifecare community. 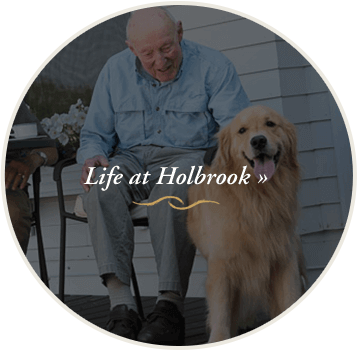 Schedule a complimentary luncheon tour to experience all that Holbrook has to offer. 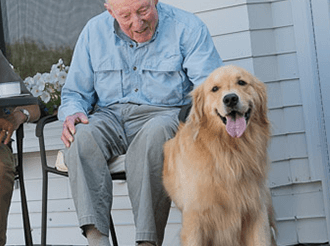 As part of Piper Shores, Maine’s first and only nonprofit lifecare community, Holbrook shares a mission to promote our residents’ long-term well-being and health. 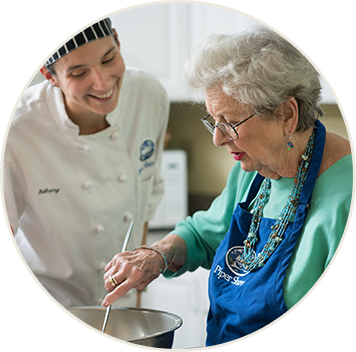 That commitment to mission means a commitment to better care – to making residents happier and healthier. 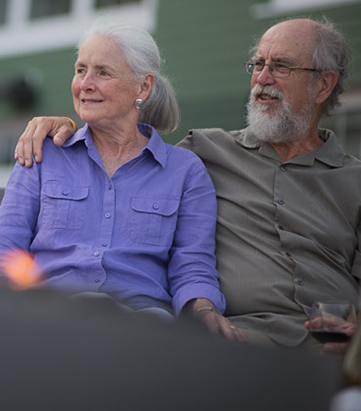 Each day, we create opportunities for choice and flexibility of schedule, and encourage residents to take advantage of all that the seaside community has to offer – access to great amenities and activities. 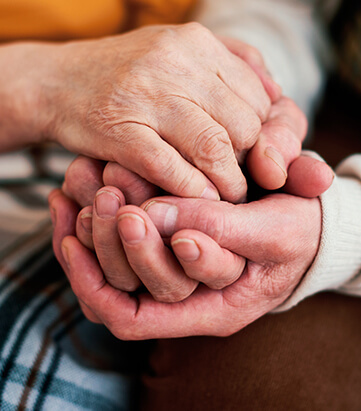 You're taking care of your loved one. We're here to help. Visit our Family Resources. It can be difficult talking about change. Here are some suggestions. You probably have a lot of questions. This is a good place to start. 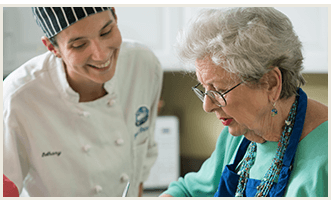 Wondering how you'll pay for assisted living?